Subaru offered all-wheel drive long before everyone else; long before it was offered by many car brands on a variety of different models. Looking at Subaru’s sales success in recent years it certainly appears they knew what they were doing. Subaru reported record-breaking U.S. sales of 680,135 vehicles for the 2018 calendar year; an increase of 5 percent over the previous annual record of 647,956 vehicles set in 2017. It marks the tenth consecutive year of record sales for Subaru of America and eleventh consecutive year of sales increases. 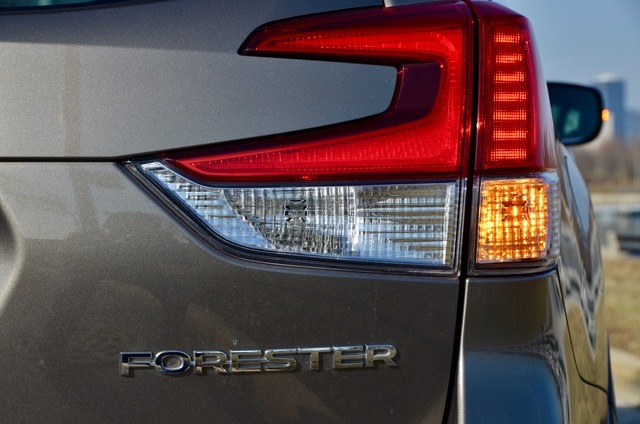 Forester sales totaled 171,613 units. What’s happened with Subaru is that they have grown from being a niche brand that was popular in Colorado and the New England states with their snowy winters and hilly terrain. Subaru has now established itself across the U.S. especially with all the active-lifestyle folks, both young and old. 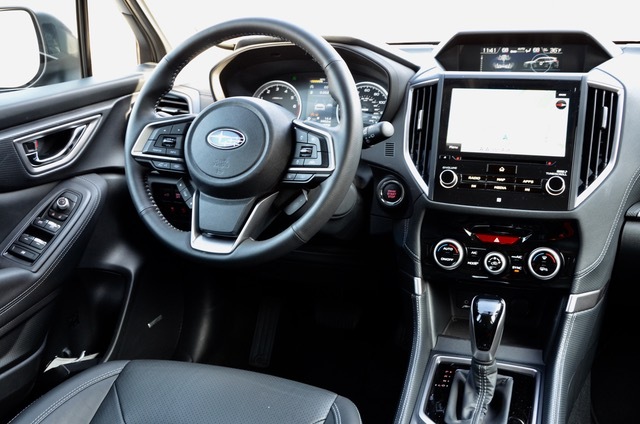 Now for 2019 the Forester is entirely new, built on an all-new platform. The 2.5-L boxer engine as been updated. The wheelbase is longer providing more rear seat legroom and more cargo capacity. Headroom, hip and shoulder room are also increased for greater passenger comfort. 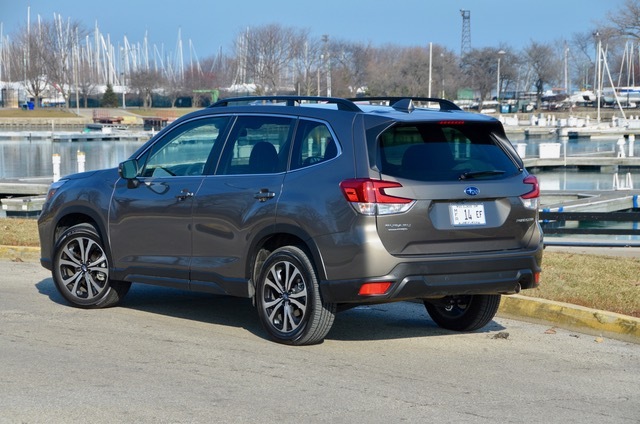 The 2019 Forester is available in standard, Premium, Limited, Touring and new Sport trim levels. All are powered by a 182 hp 2.5- liter four-cylinder BOXER engine featuring Auto Stop/Start and paired with a standard Lineartronic CVT (continuously variable transmission). Also standard on all trim levels is Subaru’s Symmetrical All-Wheel Drive. EPA test-cycle fuel economy ratings are 29 mpg combined, with 26 city mpg and 33 highway mpg. With its 16.6 gallon fuel tank the Forester can theoretically travel well over 500 miles down the highway. 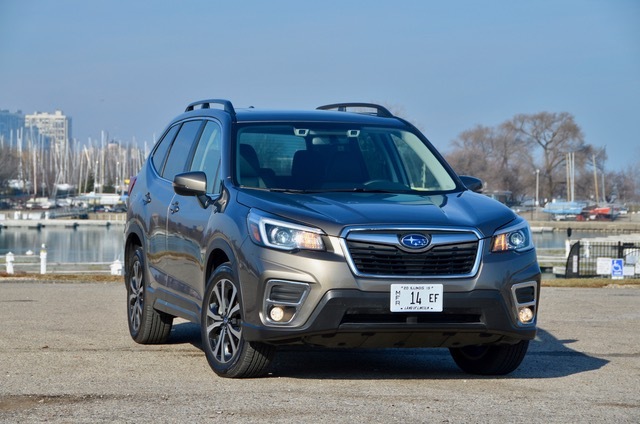 Subaru reworked the Forester’s legendary boxer engine to bring horsepower up to 182 from the previous model’s 170. Engine torque is up too. Overall there’s better response and performance. Everyday driving around by Chicago home in a Limited model proved adequate and satisfying. The SI-Drive feature lets you change the throttle response to a more aggressive “sport” mode from the usual “intelligent” efficient mode. On Sport and Touring trims, the CVT has a manual mode that simulates a seven-speed manual transmission, using steering wheel shift paddles. Along with engine tech, the Forester is loaded with automated driver assistance safety (ADAS) features. All Foresters come standard with EyeSight Driver Assist Technology. This includes Automatic Pre-Collision Braking, Adaptive Cruise Control, Lane Departure and Sway Warning, Lane Keep Assist, Pre-Collision Throttle Management and Lead Vehicle Start Alert. The Touring trim is equipped with DriverFocus safety technology which can alert the driver of fatigue or distraction while on the road as well as automatically adjust many driver settings at start-up. The system uses facial recognition software to identify signs of driver fatigue or distraction. 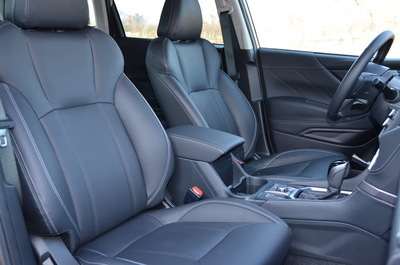 On the inside with seating for five the larger size of the new Forester makes for more room and comfort. Seats are firm and well bolstered, ingress and egress is without difficulty and outward sight lines are clear and unobstructed. There are loads of comfort, convenience and premium features making any road trip quite pleasant. Behind the 60/40 split-fold rear seat there’s 35.4 cu.ft. of cargo space that increases to 76.1 cu.ft. with the seat folded. Cargo space in sunroof equipped models is a tad less. The Forester’s rear hatch width has been increased by 5.3 inches for easier loading. A power rear hatch is available, depending on trim. Tow rating is a modest 1,500 lbs. In spite of the newness and improvements on this new fifth-generation Forester, Subaru held the line on pricing with a bump of just $500 more than last model year to $24,295 for the base trim. Prices top out at $34,295 for the Touring trim. The Limited trim I drove has a base price of $30,795. Also equipped was an option package with Navigation and the Harmon Kardon audio system priced at $1,695. Add in the $975 destination charge and things top-out at $33,465. More details, information and specifications on the 2019 Forester can be found at www.subaru.com. All-in-all I found the new Forester to have a lot going for it. Yes its powertrain performance is modest however it is adequate. Not everyone wants to be driving a race car. The interior is comfortable, quiet and pleasant. Ride and handling is well composed and, actually, the Forester can provide a bit of that fun-to-drive characteristic although it’s mostly in the comfort category. And, with all-wheel drive a jaunt down an unpaved or snow-covered road to a campground or a ski trail can be handled with confidence. All the hi-tech ADAS features are worth every penny. The Forester offers good value and is well priced to attract many mainstream compact SUV buyers. 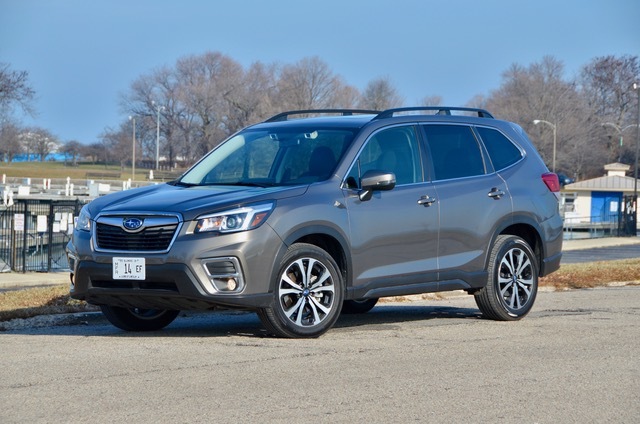 The Most In-Depth Subaru Vehicle Shopper's Research - Anywhere!